Not sure what to do this Easter holidays? Come and join us this Easter Sunday for some family fun at Out Of Bounds! 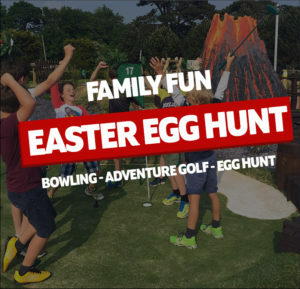 Get 1 game of Bowling and 1 game of Adventure Golf, plus an Easter egg hunt for £10! Valid Easter Sunday. Terms and Conditions apply. Please check weather forecast and dress appropriately. 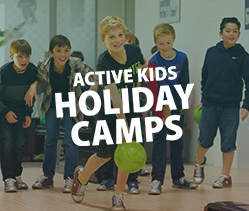 Check out our 2019 Active Kids Holiday Camps for 8-12 year olds! For just £25 your child can enjoy a whole day of fun at Sussex’s most exciting activity centre with our experienced team! We have a great range of indoor & outdoor fun and inclusive activities included for all abilities lined up for these action packed days. The camps will run from 9:00am through to 4:00pm. This is a fantastic way for your child to make incredible friends and even more incredible memories! We recommend your child brings waterproofs incase of rain, plenty of fluids and a packed lunch! 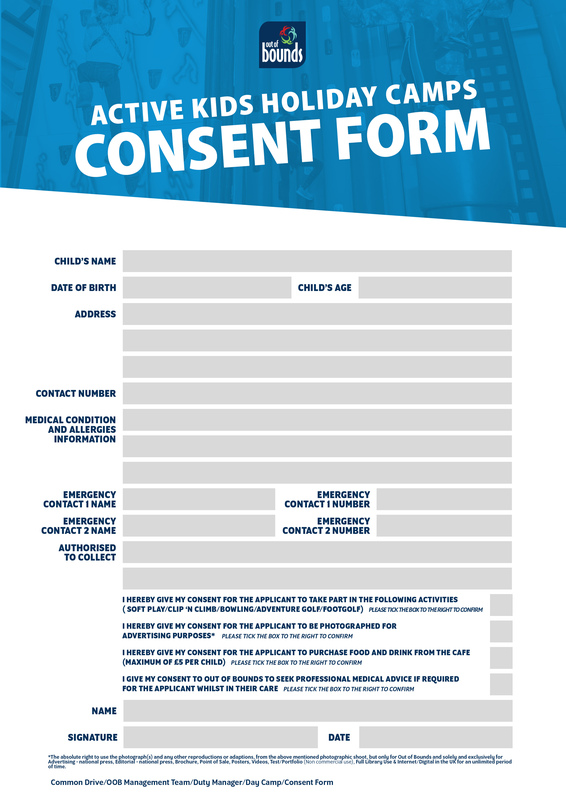 It is also essential that you download the consent form and bring it in on the day! To book, click the “Book Now” button below and select the date you would like. Please make sure you check our Terms & Conditions page here before making your booking. We are now happy to announce that we sell online e-vouchers that can be redeemed online or in centre. You can now purchase a voucher of your choice online and either send it to yourself, or a person of your choosing. These are great for gifts! Give the perfect and most versatile present with an Out of Bounds Gift Card! With a great range of activities on hand and a guaranteed fun day out for all ages, this present is sure put a smile on your loved ones faces. 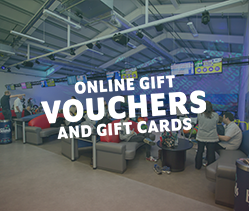 Our Gift Cards are available to use on any activity in centre at any time. Please note that Bowling, Soft Play, Footgolf & Adventure Golf Fun ‘n’ Food offers are not available to book online or over the phone. 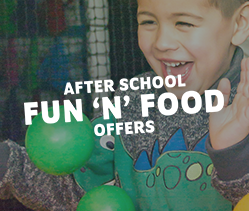 However, you can use the “Book Now” button below to book your Clip ‘n Climb Fun ‘n’ Food offer. Terms & Conditions apply. For more information please check our Terms & Conditions here. For exact offer dates please enquire as term dates vary between schools. Does your Pre-schooler love to climb anything and everything in sight? Don’t worry, you’re not alone! We know every day it’s Mount Everest, here I come. So, when they become proficient at walking, it’s only a matter of time before they begin reaching for new heights. That’s why we’ve come up with the perfect solution to offset your little climbers determination in a safe, fun and enjoyable environment; our Clip ‘N Climb arena. 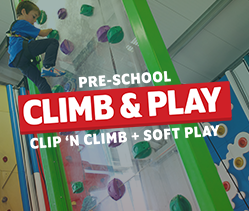 We shut off our Clip ‘N Climb arena specifically for our Under 5s Pre-School Climb & Soft Play session. This will provide safety and security for your child and they won’t have to worry about those bigger kids getting in the way. When they’ve had enough, you can stroll over to our Soft Play area and let them run wild, which is included in the price! Please note these sessions are very limited and will be popular, so we recommend booking in as soon as possible. Weekday sessions are term time only. Weekend sessions are available term time & holidays. Spaces are limited and one to one adult supervision of each child is required at all times throughout the session. Five Activities. One Price. Get the whole Out of Bounds experience with our £28 Day Ticket. Can’t quite decide which activity you want to do? Why not do a bit of everything? 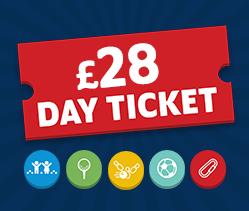 With a fantastic range of action packed activities to offer we are determined to give you the ultimate value for money day out with our Day Ticket. Escape the Ordinary. All Day. Say hello to our brand new party type! For £12.95 per person you get one game of bowling followed by pizza making fun in the cafe area, unlimited squash and a dessert. Don’t worry, you’ll have a party host to see you through from start to finish as well, so you don’t have to worry about anything! Out of Bounds will host the bowling, pizza making and party food. Sound interesting? 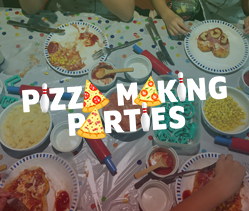 Give our Party team a call on 01903 788 588 for more information and to book yours today! 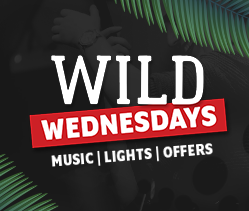 Wednesday after 6pm are now Wild Wednesdays at Out of Bounds! 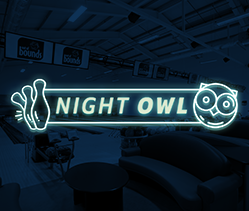 With a fully licensed bar, extreme glow bowling, music chosen by you with our Secret DJ app and night club lighting effects throughout the centre we’re offering a completely different Out of Bounds experience to our customers, so come along and join the fun for a unique Wednesday night! Bowling is only £3.50 per game on the night, save up to £3 per game for adults and £2 per game for children! The 7pm Clip ‘n Climb session is just £10 for both adults & juniors. We are also offering £2.50 7″ Margherita pizzas to help you refuel or prepare yourself for your night. Terms & Conditions apply, please click here for more information. 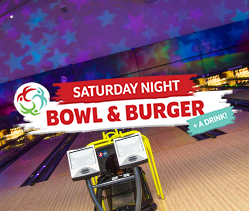 Come and join us after 6pm on Saturday for our “Bowl & Burger” deal! Looking for something to do with your Saturday night? Why don’t you come down to Out of Bounds and take advantage of either our single or double game Saturday night offer, which includes a burger and a drink. Get all of your friends together and make celebrate your Saturday night right! Drink options include bottled beer, a small glass of wine or a large fizzy drink.